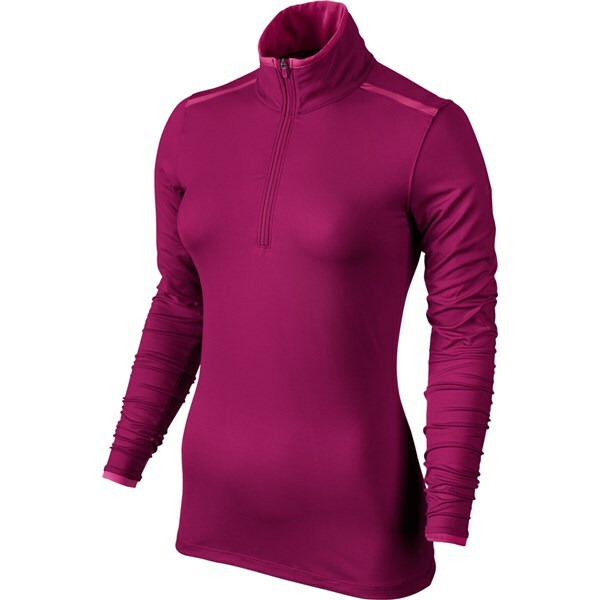 Sizing Guide The Nike Golf Ladies Azalea Mesh Half Zip Top will provide a soft, stretchy feel to help you perform at your best as well as take the chill off on those cold days on the course. 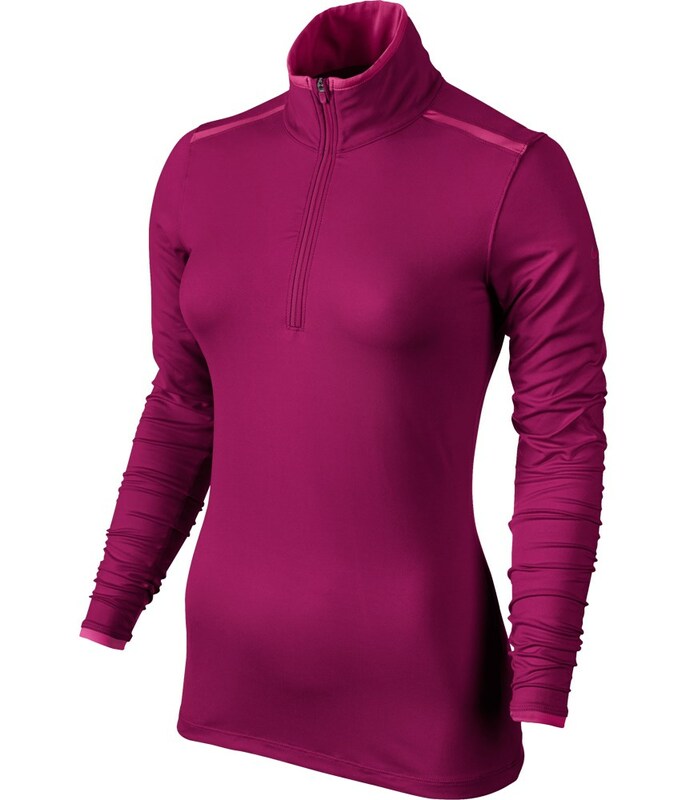 A polyester and spandex body construction has been used in the design of the Nike Golf Lucky Azalea Top to enhance your body motion because of the less restrictive stretch of this fabric as well as providing a breathable fabric through their use of Dri-Fit technology. 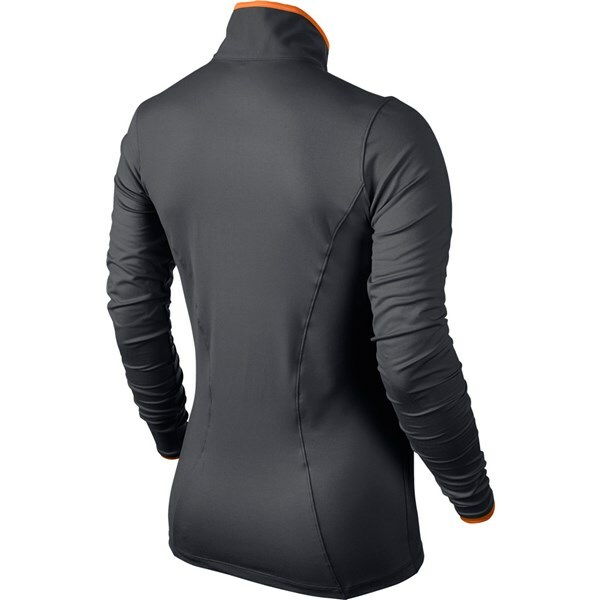 Nike Golf have used a contrasting zip placket and mock neck design to retain the heat or act as the perfect temperature regulator should get get a little too warm. The ruched sleeves add great detailing and style to this sporty looking top that will look great on or off the golf course. Seasonless weight fabrication for all year round layering. 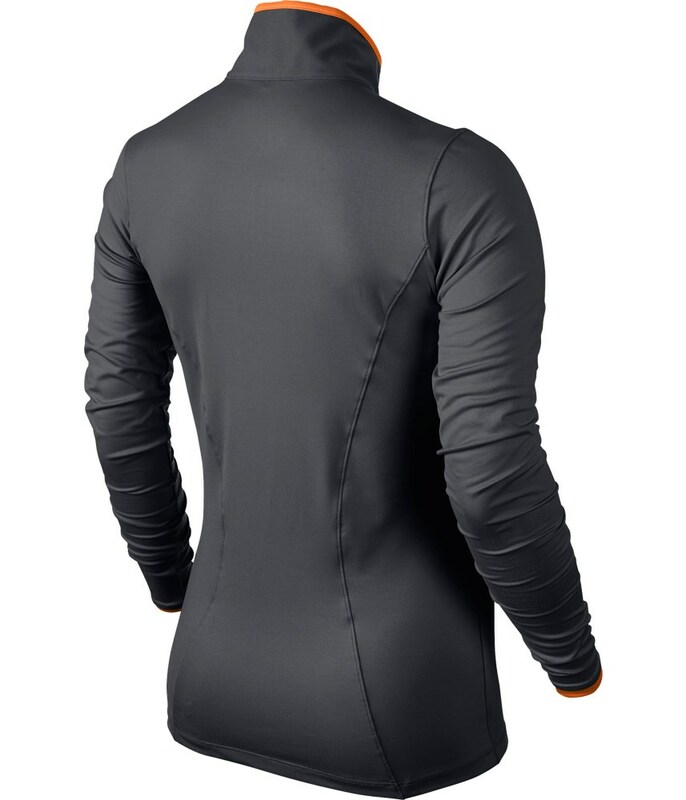 Zip placket and mock neck for added protection. Inside collar and sleeve cuff opening lined with mini mesh. 6.52 OZ. 88% POLYESTER / 12% SPANDEX. Inherent, sanded peached/sueded on face and back.